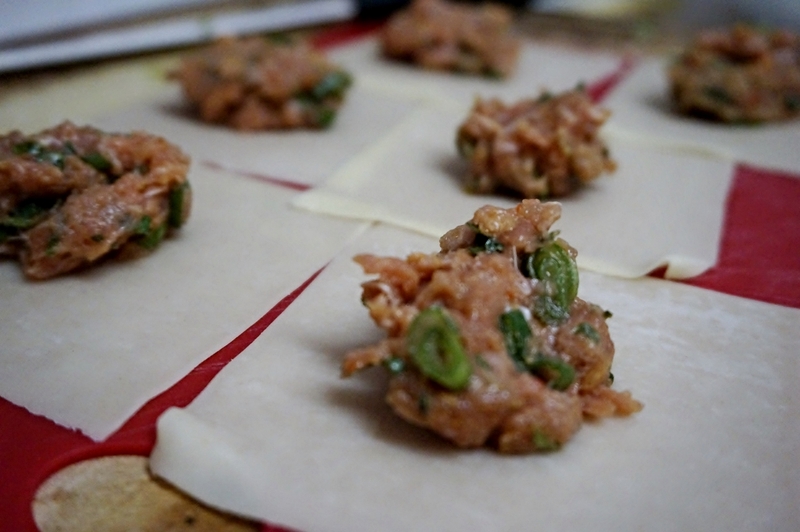 Add all the ingredients in a food processor, not the wonton skins please. And blend it until the mixture becomes really sticky here. I prefer to marinate the meat overnight, the flavor is good and better this way. If short on time a couple of hours should do well. 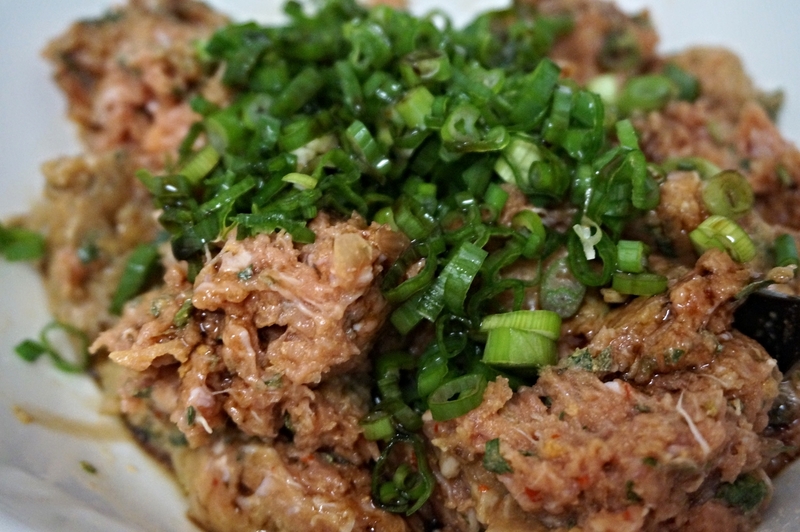 I always taste the meat before filling the dumplings to make sure the seasoning is right. No I don’t eat it raw; I make it in a meatball and make sure it is to my taste. This is a good idea with any ground meat related dishes; the salt is always off for me. Once the meat has marinated, make sure it is still cold. I set up my station with a bowl of water, the won-ton skins with damp paper towel on top of it and the filling. 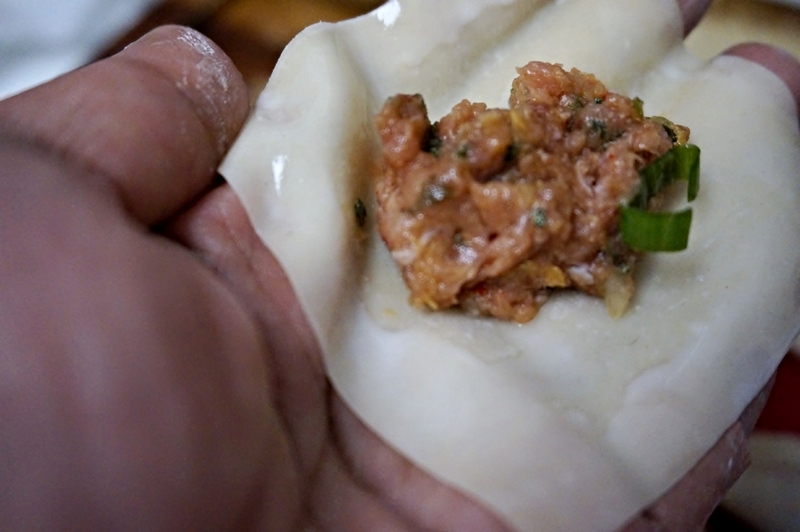 Here is an YouTube video on different folds – 7 different ways to wrap a dumpling, I keep mine very simple. I fold mine diagonally, add water and make sure they are closed properly. 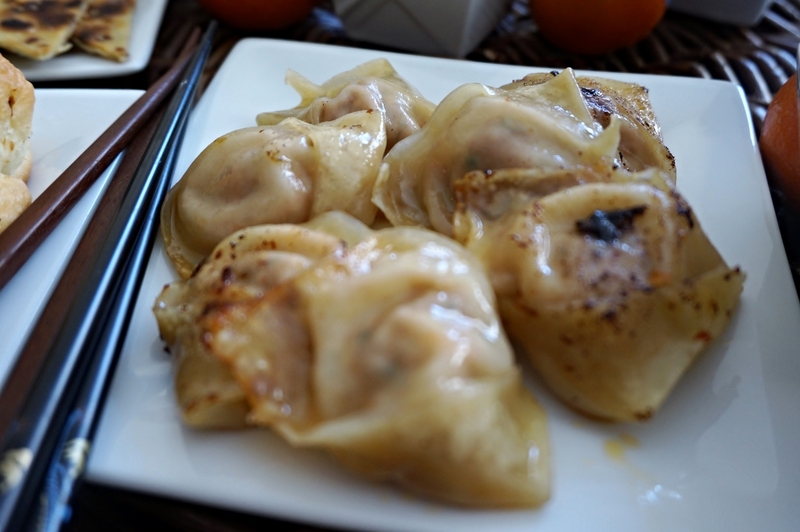 Here is a video from YouTube on how you can pan fry the dumplings. 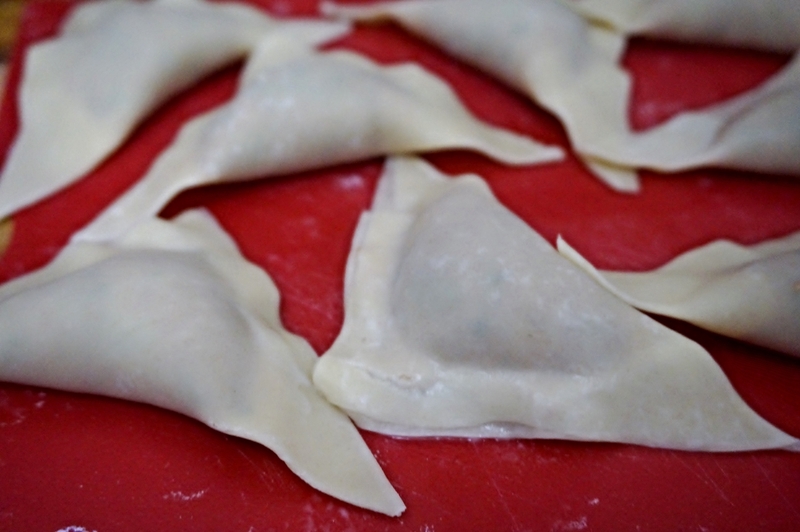 You can always freeze these as well, put the dumplings in a tray and put it in the freezer until they freeze. Gather them up and then freeze it in a Ziploc bag. Just make sure you have them frozen separated before you add them to a Ziploc or else they will all stick to each other.